The thread (M12) of this particularly robust stainless steel anchorage point is permanently installed in concrete using special adhesive. Once installed, it is suitable for all directions of load. You can install it on the ground, in a wall or overhead, depending on your individual needs. 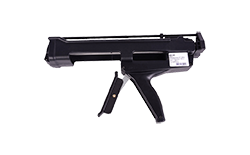 Our ABS-Lock IV-B is a true all-rounder. Despite its compact design, this small, optically unobtrusive anchorage device can withhold loads in all directions and is suitable for overhead installation. 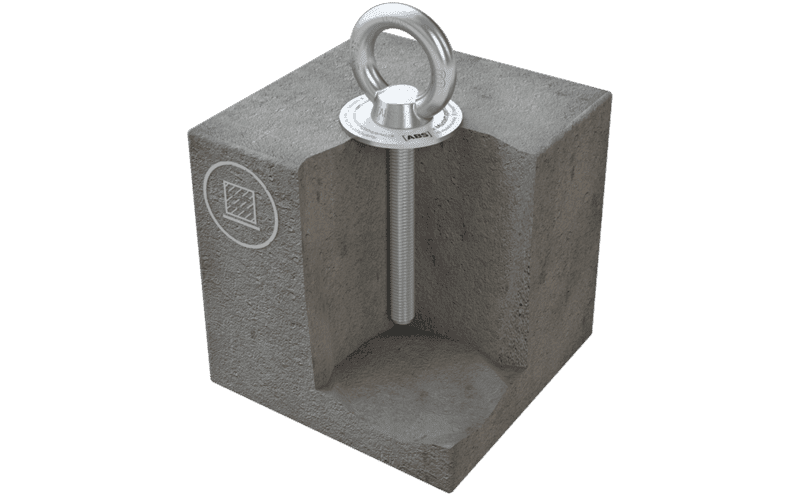 Our stainless steel anchorage point (M12 thread) is simply cemented straight into the concrete surface using our special adhesive WIT-VM-250 (ZU-1000). Once the two-component adhesive has hardened, this anchorage point can be used to protect 1 individual from falling. When producing our ABS-Lock IV-B, we rely on the same weather-resistant stainless steel material that is used in virtually all of our ABS Safety products. The anchor is rounded off by a weatherproof label containing all the information required for installing the device as well as details of the prescribed annual inspections.